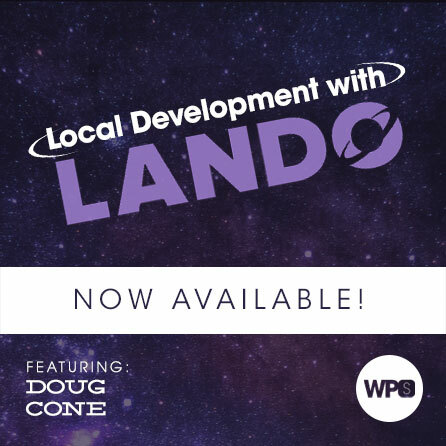 In this session Doug Cone will show you how the entire development team at Crowd Favorite has streamlined their workflow using an incredible little tool named Lando. Come and learn from their experience and hear how Lando and Docker made their development life better. Then, learn how you can solve your own local and collaborative development issues without adding a bunch of extra work or steps to your plate. In this session we’re going to discuss the wiles of local web development. It is a workflow rife with distinct challenges and misery … but it doesn’t have to be! Let’s frame this just a bit. You’ve probably encountered more than your fair share of difficulty if you’ve done any amount of local development. For instance, perhaps you’ve deployed code to production only to discover that a key feature was broken, for no explicable reason. Or maybe you’ve shared a project with a colleague and then lost hours trying to get it to work in their local environment. Or maybe you’ve found yourself with a broken local environment for days (weeks?) and just didn’t have time to fix it. Building powerful, production-ready websites doesn’t need to be this difficult! Lando is a really powerful yet simple-to-use development tool. It pairs with Docker, as well as several other develpoment tools, to make local setup and collaboration a snap. This presentation focuses on why a tool like Lando is needed, some alternatives to Lando, and ways to immediately improve your workflow by taking advantage of Lando’s features. Why not [alternative tool] instead?